We speak to Martin’s Properties Managing Director, Richard Bourne, following a week at MIPIM. 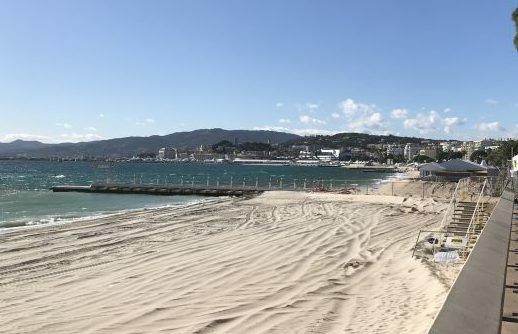 There were rumours that this year’s MIPIM would be quieter and more subdued than previous conferences amidst continued global uncertainty. These rumours were quickly quelled as the sun shone down on Cannes. Unconfirmed reports suggest this year’s visitor numbers were up 2,000 on last year. We met numerous new faces and connected with some of our trusted contacts across a range of disciplines and sectors, all with a shared optimism. The result was many dynamic new ideas and potential deals as we look to continue to diversify our portfolio. Whilst the Brexit cloud lingers over many investment decisions, the fundamentals of the market remain very strong: retail funds are well capitalised, conservative lending is keeping LTV’s and borrowing rates sensible, occupational demand is healthy, and ongoing planning and land constraints continue to prevent large oversupply. The pound continues to remain attractive to foreign investors benefiting from favourable exchange rates, with some seeing UK investments as both more attractive than alternative global markets and as a hedge against Brexit. The weight of money waiting to be deployed has risen to a historic high with many retail funds holding up to 30% in cash, lending more weight to the theory that any market correction would be quickly followed by a hardening of yields, driven by an imbalance of supply and demand for investment stock. As an entrepreneurial property company, we see an opportunity to enhance our development activity in a difficult environment for spec funding. Equally, we are exploring opportunities to assist developers through joint venture or forward funding arrangements, giving us access to sectors and assets we may not have always had access to, where we can share in the upside through taking on leasing risk. Perhaps a coincidence of the sun, sea and sand, customer service was the buzzword of the week. In a world where experience is key, customer service is becoming increasingly important across multiple sectors. Customer service has always been the backbone of our business and one in which we are proud to score very highly and receive extremely high tenant retention rates. We have arrived home with much food for thought.